by Waris Dirie | Nonfiction | This book has not been rated. 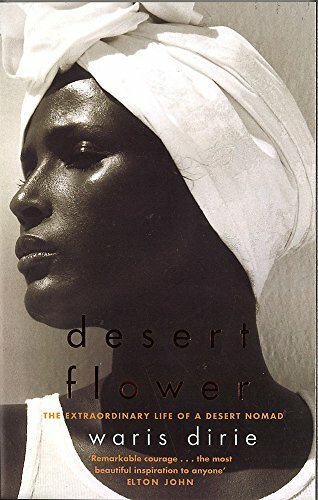 Waris Dirie, whose name means "desert flower", was born in Somalia of nomadic parents. She underwent extreme female circumcision at the age of five, and when she was 13 her father sold her into marriage with a 60-year-old for five camels, at which time she ran away. She was discovered by a fashion photographer in the United States whilst working as a janitor at McDonald's, and became a model who has been used to promote Revlon skin-care products. She also speaks on women's rights in Africa and travels the world to give lectures on behalf of the UN. This is her autobiography. Now on its way to redhot-brat, who won it in the Biography swap at bookobsessed. Enjoy! Again, thank you so much for sharing these with me. I look forward to reading them both soon.